The Howard Miller 630-200 Barrett Mantel Clock is the 76th Anniversary Edition Mantel Clock. 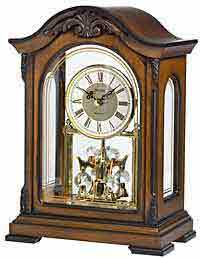 This special anniversary edition tambour mantel clock features decorative egg-and-dart molding that wraps around the base, and rare olive ash burl overlays accenting the front. 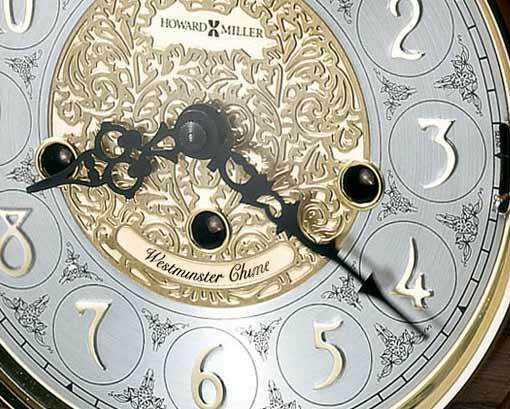 The special Anniversary dial features applied Arabic numerals and chapter ring with a polished brass finish. 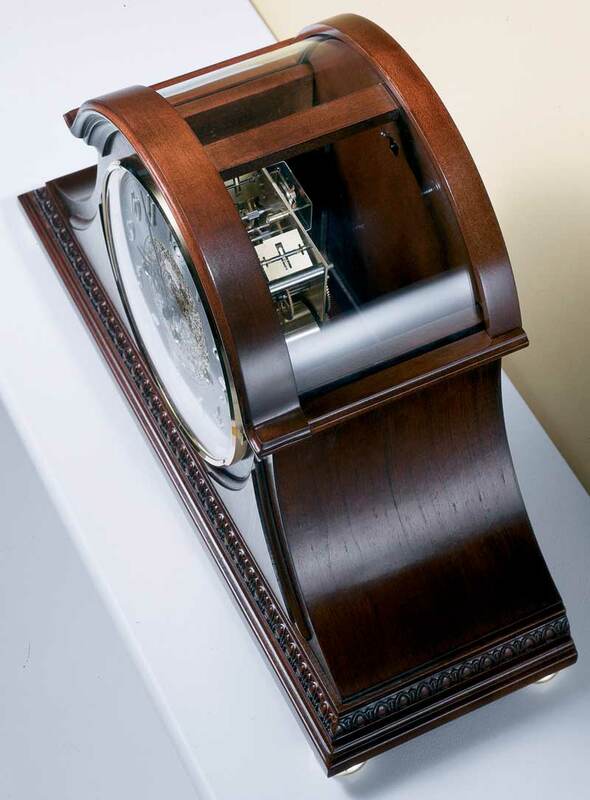 Four brass finished feet support the clock. 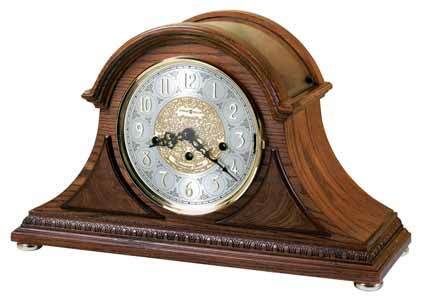 Finished in Windsor Cherry on select hardwoods and veneers. Size: Height. 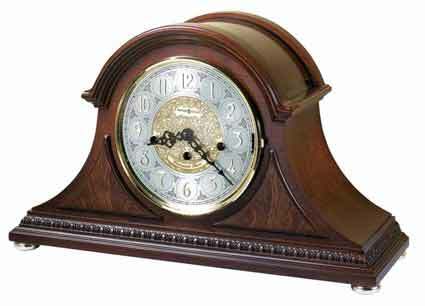 10-3/4" Width 17-1/2" Depth 6-1/2"
Clocks for sale at The Clock Depot including the 630-200 at discount prices.